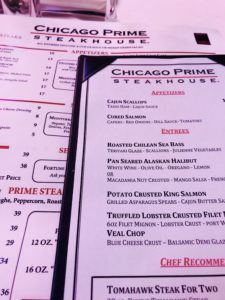 My Meet Chicago Northwest Restaurant week (did you remember to mark your calendar for February 23, 2018-March 4, 2018) foodie fun day super-preview continued with a magnificent dinner at Chicago Prime Steakhouse (1444 Algonquin Road, Schaumburg, IL). As I was starting to write this post the one word that kept popping into my head was “WOW.” It was the word I repeated over and over after I finished my meal. Does that have you intrigued…..well keep reading……. 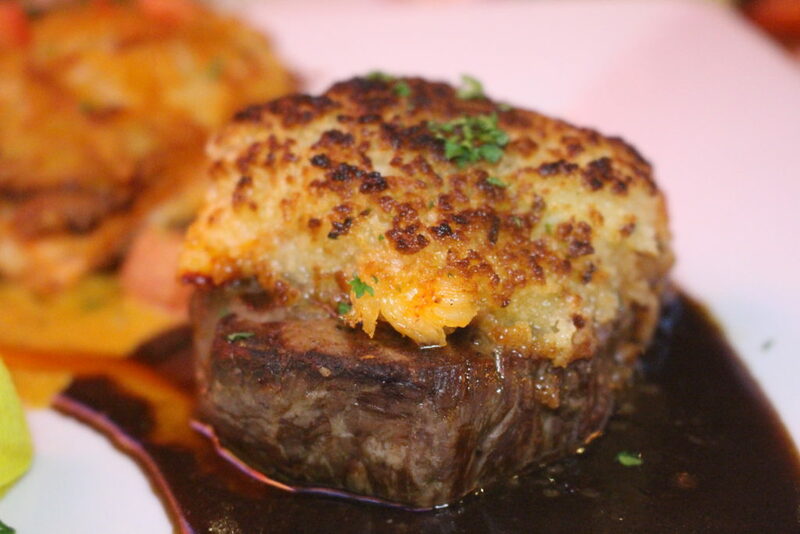 The menu has all your steakhouse favorites but there were some innovative twists that just knocked my socks off. 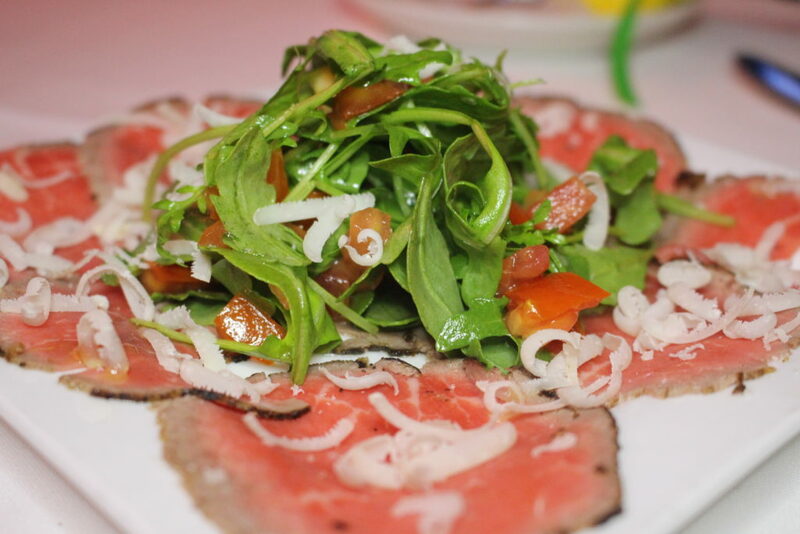 To start, the Carpaccio….oh..that carpaccio. Paper thin slices of rare beef dressed with peppery arugula, a sprinkle of nutty Parmigiano-Reggiano, a crackle of fresh black pepper and I can’t leave out that sensational Greek olive oil. It was so simple and yet so flavorful. 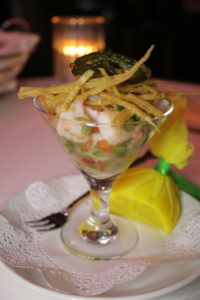 Chicago Prime Steakhouse was also nice enough to make me a tasting portion of the Shrimp Ceviche so I could try a little bit of everything. Ceviche is an art form of letting shrimp (or other seafood) cook itself in the acid of citrus fruit.This one had shrimp chopped into bitesize pieces and “cooked” in lemon juice, lime juice and a little splash of Kefir Lime Vodka. The Kefir lime flavor was an awesome twist. The citrus was tart but the Kefir Lime vodka addition kept it from being so sour it hurt your cheeks. Toss in some finely diced peppers and this was a great start to any meal. 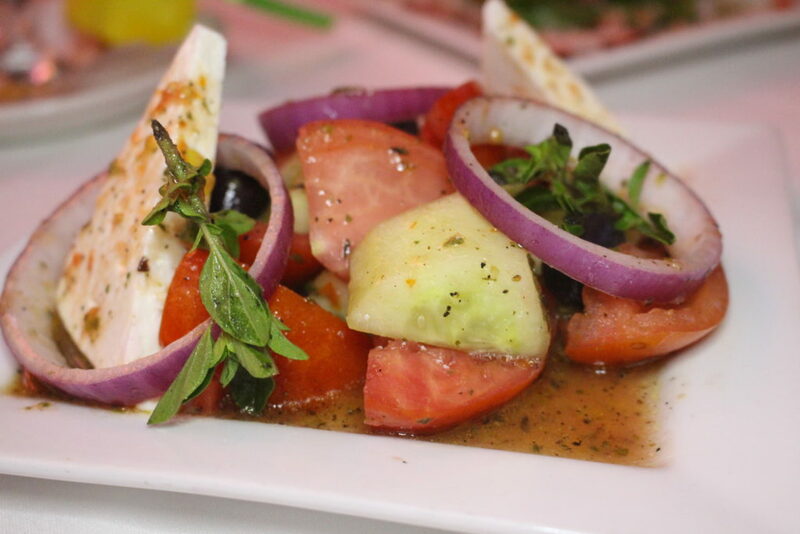 Fans of a good steakhouse salad will not be disappointed with the Mediterranean Salad. It was a bright plate with big chunks of cucumber, locally grown tomatoes, red onion, Kalamata and the best feta cheese I’ve ever tasted. The amazing flavor was only enhanced by the use of fresh tomatoes and their natural juices as the dressing. 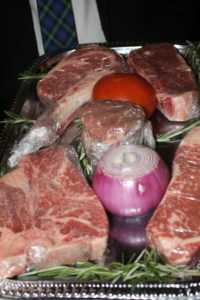 I was also impressed with all the variations to jazz up your steak or steak styles. You can have them with maple horseradish, gorgonzola, Cajun, roasted garlic or peppercorns to name a few options. 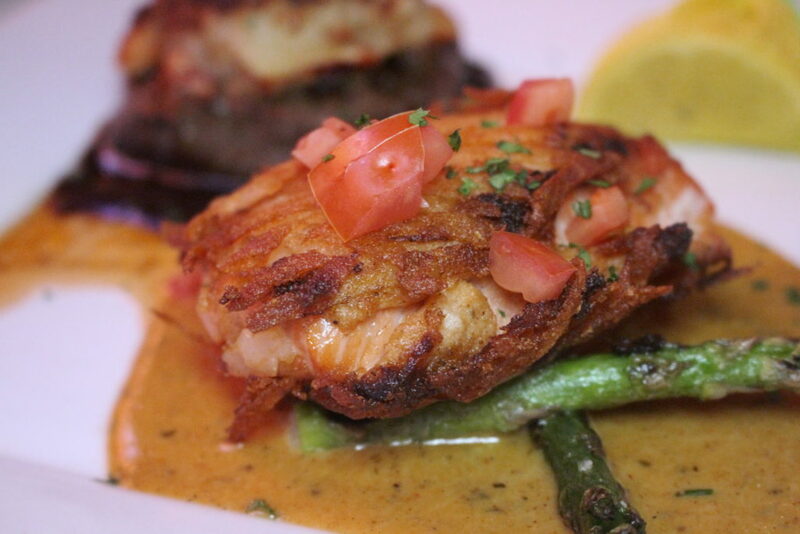 The enjoyment continued as I tried the Potato Crusted Salmon. The salmon was executed beautifully with a crispy potato outside and a super juicy inside. I really enjoyed how texturally it mimicked a crispy salmon skin…but it wasn’t….it was POTATOES!!!! And if you are in the mood for sandwich or burger (which is composed of meat they butcher in house), there are plenty of options. One more restaurant to showcase this week….how many of my readers are now looking at their calendars to plan a trip to Schaumburg? Up next….Chicago Prime Italian…. Enjoyed Felt Like a Foodie’s blog post? Head on over here to read more of her adventures!